Members of the Russian Public Chamber and Human Rights Council have proposed splitting up the police force into independent federal and municipal entities. As for the municipal police, their main task will be ensuring public security, protecting people’s rights, as well as dealing with minor and administrative offences. The two units would not be subordinate to one another, Kucherena stressed. The proposed reform envisages the creation of five separate departments within the federal police: administrative, internal security, crime detection, witness protection units and an analytical center. As for the municipal police, it would include a crime-preventiion unit, police headquarters, district police and highway patrol. Kucherena also added that the head of the municipal police should be elected by public election. The member of the Russian Public Chamber added that the evaluation criteria for the law enforcement agencies should also be changed, with the introduction of principles of judicial control and public participation in militia affairs. Vladimir Vasiliev, the head of the State Duma Security Committee, supported the initiative, adding that society should control the reform process of the Interior Ministry. “People should be able to see the effects of the reform themselves, and society should monitor this process,” Vasiliev said, adding that police reform is a priority. Russia suffered a string of high-profile police abuse cases over the past year, including the case of Police Major Denis Yevsyukov who went on a supermarket shooting spree in Moscow. According to Rossiyskaya Gazeta daily, 70% of Russian citizens do not trust the law enforcement agencies. Valentin Gefter, a member of President Medvedev’s Council, proposed publishing the reforms in the media, so that not only the specialists, but also average people may provide feedback. In order to monitor the reforms, Russia’s Human Rights Commissioner Ella Pamphilova has suggested creating a special presidential interdepartmental group comprised of experts from the Interior Ministry, Public Chamber, police trade unions and Russia’s Lawyer Association. A number of the reforms, however, have already been voiced and introduced by President Medvedev, who has made public reforms a hallmark of his presidency. 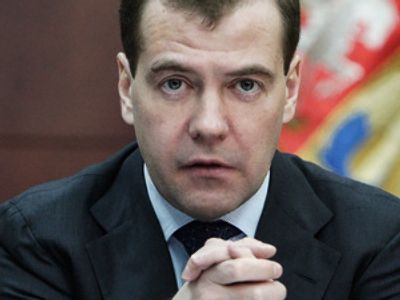 In December, Dmitry Medvedev signed a decree on cutting the number of Interior Ministry staff by 20% by 2012.